Very popular Teddy made using double white chrysanthemums and kermits. 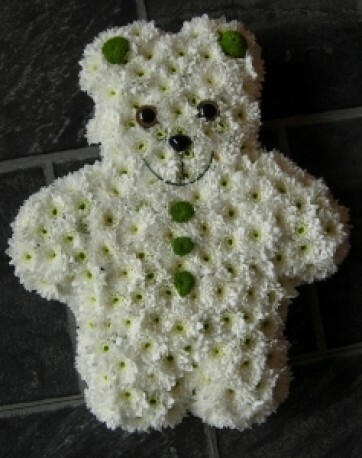 Lovingly put together by our dedicated team of florists. You can have different colours and we can even add dungarees if you like. All our tribute work is bespoke.